● High frequency current heating, large power,rapid heating and thermal recovery. 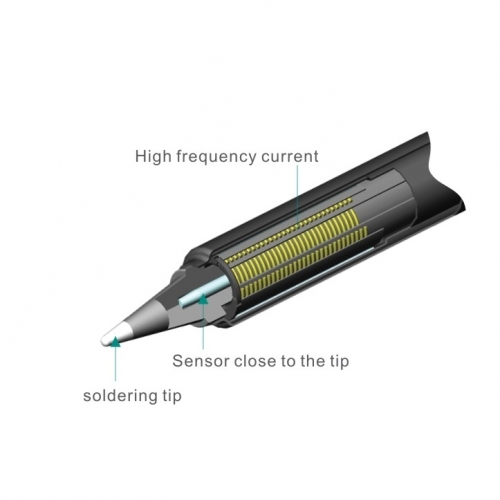 ● Sensor close to the tip, accurate and stable temperature, rapid temperature recovery. 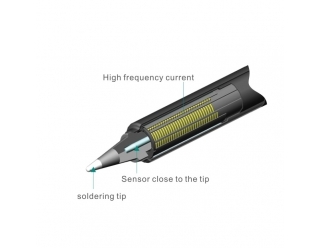 ● High heat capacity soldering tip with long lifetime, tip with slot for quick positioning, easy replacement. ● Separate design of heating element, sensor and soldering tip, low cost.